T-Systems Multimedia Solutions GmbH provides a large selection of information and communication technology (ICT), and consulting and innovation services to multinational organizations in both the public and private sector companies. Signavio Process Manager is a powerful BPM solution that has aided T-Systems MMS in its Continuous Improvement Process (CIP) efforts within their BPM project, PoMS 3.0 (process orientated management system 3.0). T-Systems MMS initiated the PoMS 3.0 project to document their standardized business processes so that every employee has easy access. 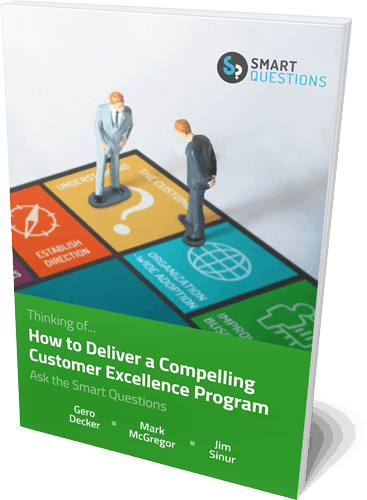 This central process platform serves as a helpful company reference point, and the processes help employees to ensure efficient productivity, especially in times of significant company growth. T-Systems MMS considered a full spectrum of process modeling tools with the most important qualifier being integration with their intranet. 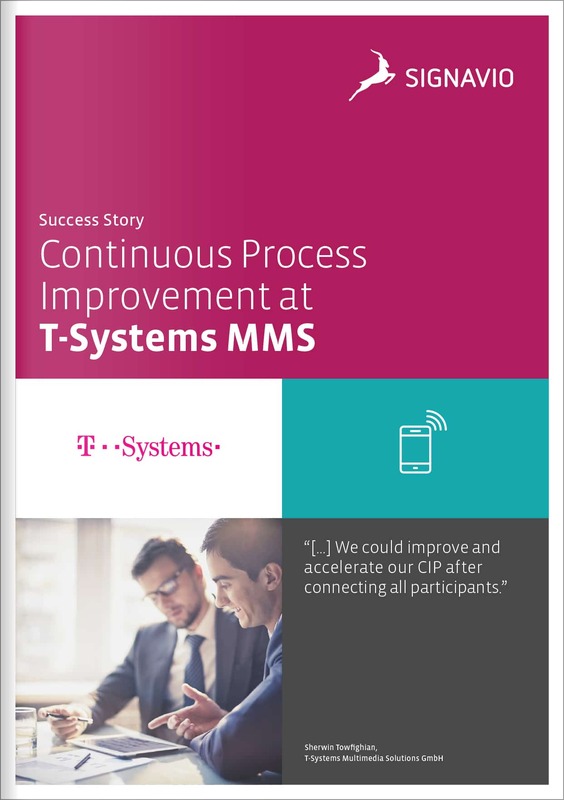 After comprehensive product comparison, including more than 16 different vendors, T-Systems MMS chose the web-based Signavio Process Manager. Signavio supports the PoMS 3.0 project’s documentation and continuous process improvement goals across all departments. The project also provides management with a tool to continually respond with better business decisions quickly and accurately. The integrated process portal serves as the central platform for the new process management initiative. All process participants benefit from being connected with the Signavio process portal. With its simple handling and intuitive design, Signavio Process Manager supports all employees with updated process models. Processes are continuously available for everyone via the process portal which is integrated into the intranet. By using the BPMN 2.0 core elements, it is possible to create consistent, understandable, and reusable process models across the organization. Signavio’s innovative comment function is another decisive feature since it allows for collaborative process design. With this; every T-Systems MMS employee can create and design company value chain processes. Staff have an inside view of the processes and can see that their contributions are incorporated into the final processes. Signavio Process Manager was the T-Systems MMS deal-clincher. With its clean design and creative collaboration concepts, the company understands the importance of this feature and its enabling role across the whole organization. The T-Systems MMS BPM project “PoMS 3.0” won the PEX Award for Process Excellence Innovation in 2013. T-Systems Multimedia Solutions GmbH is a German IT service and IT consulting firm headquartered in Dresden. The company provides consulting and software development services to medium and large organizations and has offices across Germany. T-Systems employees nearly 2,000 people.